OCOEE, Fla., April 17, 2019 /PRNewswire/ -- Transaction Data Systems (TDS), parent company of the Rx30 and Computer-Rx pharmacy management systems, publicly announced today the addition of Adam Wallace to the executive team. An experienced leader of software product development organizations in high-energy, growth-oriented settings, ranging from startups to Fortune 100 companies, Wallace has a consistent track record of aligning technology teams with business goals to deliver successful software solutions. Wallace brings over 20 years of technology experience to TDS, having held leadership positions with a range of organizations including Oracle, Explorys, BEA, MRI Software, and Flashline. Throughout his career, Wallace has successfully scaled and developed teams by focusing on organization design, Agile methodologies and process improvement. Previously honored in Computerworld magazine's as one of the "Premier 100 IT Leaders," Wallace takes the helm as the development and technology leader providing both vision and daily leadership to the teams responsible for a myriad of software products, including Computer-Rx and Rx30 pharmacy management systems. "Innovation and leadership in the technology offered to independent pharmacies is a core focus for TDS. 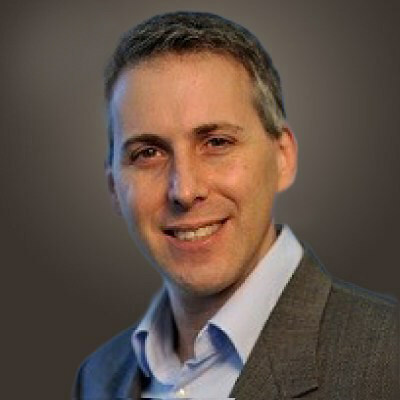 After an exhaustive search for the right fit to continue driving TDS forward as a technology leader in the industry, Adam Wallace's experience, innovation-focused mindset and solid visionary approach to leadership made him the clear choice to lead the technology teams at Transaction Data Systems going forward," said TDS Chief Executive Officer, Jude Dieterman. Prior to joining TDS, Wallace was a senior leader of product development at a leading provider of software applications and hosted solutions for the global real estate property management industries. Responsible for all aspects of software engineering, quality assurance, and release engineering at TDS, Wallace brings a growth and innovation-focused approach to the technology the organization provides its customers. "Every phase of an organization's growth requires a specific set of expertise in its leaders. I believe the addition of Adam Wallace to the TDS leadership team brings the ideal set of leadership skills, vision and experience to drive Transaction Data Systems into the future of pharmacy management software," said TDS President and COO, Kevin Lathrop. "Our customers deserve the absolute best in technology, service, support and thought leadership from TDS, and we will continue to make strong, deliberate strides to achieve and maintain that ideal for our customers."